The last of my siblings graduated from high school this weekend. I made these adorable graduation hats in honor of his big day. 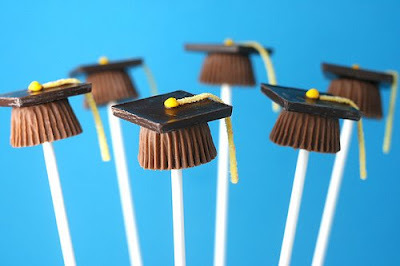 They were the perfect centerpiece to his graduation bbq and fool proof to make. Bakerella has done it again! Me and my mom are making those for Eli's graduation as well! Im glad they were a hit!